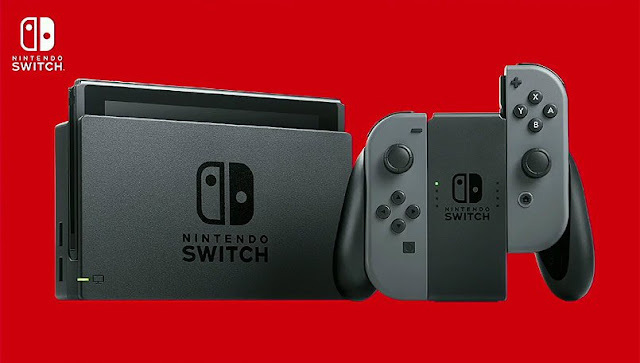 With the Nintendo Switch, you’ve got the ideal on-the-go-machine that’s capable of playing great looking games both on your TV and on the inbuilt screen. Play it anywhere, anyhow! Microsoft call it the most powerful gaming console ever and one look under the hood proves why! With 40% more power than any other console, the Xbox One X makes for an intense and immersive 4K gaming experience. This upgraded console has PSVR, offering something that none of its rivals can! If you want to ride the wave of virtual reality then a PS4 Pro is undoubtedly the best value, and most comfortable, way to do so. The Xbox One X may be a super-powered 4K dream machine but that makes it a bona fide bargain, offering access to all the Xbox exclusives and stellar gaming services such as EA Access – at a price you can afford. Nintendo’s handheld may be more than six years old but with new targeted games, the 3DS is still an essential machine for any gamer on the go! Experience games in an entirely different way with the PlayStation VR headset. Put yourself at the centre of the action this Christmas and live every detail of extraordinary new worlds. • Top tip: Turn your PS4 console into PS VR with a PlayStation Camera – available for £44.99, just plug it in and play! The DUALSHOCK 4 wireless controller defines the new generation of play, combining revolutionary features with an intuitive design and precise controls. The new model features a stylish black matt finish and shows your light bar colour from above as you play. The Revolution Pro Controller for PS4 combines eSports features and controls to enhance and adapt to every style of competitive play. Take your gaming to the next level with this technologically advanced controller! Discover how great your games can sound with the 2.0 Wireless Stereo Headset. With stunning 7.1 virtual surround sound, immerse yourself in games and chat with friends with a finely tuned audio experience. The Turtle Beach Stealth 700 is the latest premium gaming headset for Xbox One, debuting Microsoft’s new Xbox Wireless technology. Enjoy simplicity and superiority from your headset to your console. The headphones are also available for PS4. Designed for gaming and productivity, G213 Prodigy’s slim body is durable, precise and spill-resistant; designed for the way you play! Created for gamers, the Razer Blackwidow Chroma V2 keyboard benefits from cutting edge design and technology from Razer, including their outstanding green switch technology. The Hyper X Cloud II features a newly designed USB sound card audio control box that amplifies audio and voice for an optimal Hi-Fi gaming experience. The next-gen headset generates virtual 7.1 surround sound with both distance and depth! Enter a virtual 3D environment with the most accurate placement of audio cues – and do it comfortably! The headset’s Ski Goggle Suspension Band is perfectly contoured to fit anyone. The Pro Racing Office Chair encompasses a unique body hugging style which offers luxurious comfort and superior build quality. Pair that with the included headrest and lumbar support cushions and you have a chair which provides maximum support. Plus pick from a range of colours to suit you!